Jousting is a medieval sport that originated between the 10th and 13th centuries. The rules for this unique sport are believed to have been written by a Frenchman named Geoffori de Pruelli. Unfortunately for him, he died at the very first jousting tournament in history which occurred in the year 1066. From France, jousting slowly spread to Germany, England, and southern Europe (National Jousting Association). Jousting tournaments began as organized battles between knights who had had experienced some sort of disagreement. Two or more knights on horseback would fight, usually with lances as their weapons. Other weapons used may have included battle axes, daggers, and swords. Although the first recorded tournament occurred in the year 1066, jousting did not gain much popularity until after the 12th century. The sport then became very popular in Europe and remained so up until the 16th century. Jousting tournaments became a great way for knights not only to show off their skills, but to win large sums of money. However, these knights also risked losing their lives. Henry II of France was one of the first men who lost his life to a jousting tournament. This brutal way of settling conflicts slowly evolved into a more civilized sport with a complex set of rules. Along with these new rules, the idea of chivalry evolved and became an essential part of jousting. A knight would select a beautiful lady, most commonly a married lady, whose husband was ideally of higher rank than the knight. The knight would then fight in her “honor”. In exchange for this “service” the knight expected the lady to spend the night with him. It was considered unacceptable, even down right disgraceful for a lady to refuse a knight who had fought for her “honor”, even though she had no say in the matter to begin with. As you can see, “Chivalry” wasn’t quiet as romantic during the medieval period as it has been portrayed in modern times. This practice was considered an acceptable alternative to adultery by many. However, the church was outraged by this ridiculous practice. The French were far more involved with “chivalry” than the English, who mainly saw tournaments as a means of military training for their knights. For this reason, tournaments in England were terribly brutal, very often resulting in death. The violence, however, also outraged the church. It was for this reason that in 1292 The Statute of Arms for Tournaments was established. These tournaments dubbed all Knights as gentlemen and required them to abide by the rules of fair play (National Jousting Association). As the thirteenth Century came to a close, jousting took a new turn. Tournaments became less like brutal death matches and more like civilized entertainment. Tournaments were now fought with blunted weapons. Death was rare and considered very unfortunate, where as previously it was something to be expected. Killing a horse, however, had always been considered an absolutely inexcusable and horrific act. The knight’s objective was no longer to kill the other knight, but to knock him off his horse. The knights also tried to destroy their lances as this won them more respect and prestige. The amount of lances a knight broke was an indication of the force of his charge, and therefore, of his horsemanship skills. There were three types of tournaments up until the 17th century. They were: Melee’ or Tourney Proper, Individual Joust, and Practice Tournament. Melee’ was popular during the 12th and 13th century when tournaments were still extremely brutal and violent. It was this type of tournament in which the most lives were lost. This method involved more than two competitors. The goal was to be the last one standing by unhorsing as many of the others as possible. Individual jousting was a battle between only two knights. This form of jousting was a lot more civilized than the previous. If a knight were to hit either his opponent or his opponents horse he would be disqualified. The goal then was to hit the other knight’s shield knocking him off his horse or shattering the lance. In 1420 a wall was introduced to help prevent injury to the horses. The Practice tournament was just exactly what its name implies. Rings, or a quintain (wooden target mounted on a pole) were set up as practice targets. If hit off center the quintain would swing in such a way that it would unseat the knight. The rings however, were a slightly less dangerous form of the practice tournament. A ring would be suspended from a cord, and the Knights goal was to pick it up on the tip of his lance. The ring tournament is the tournament that has lasted the longest. “The riding of the rings” as the ring tournament came to be known, was the longest lasting of the tournaments. The riding of the rings was also still closely associated with chivalry, but not in the same adulterous sense of the past. In addition to customary golden rings, the winning knights were awarded kisses from the ladies. The sport of jousting came to be a test of both horse and rider’s physical strength and coordination, rather than a bloody battle that often resulted in death (National Jousting Association). The next phase in the evolution of Jousting took place in the 17th century. The culture of the time had become more civilized. The medieval tournaments had been far too brutal and needed to be replaced by something more refined and proper. The result was the “carousel”. The name was a combination of the Italian word garosello and the Spanish word carossela, both meaning “little war”. One of the games played in this new form of jousting was based on a training exercise for tournaments called “catching the ring”. This game however, was transformed into a more elegant sport in which nobles dressed in elegant costumes took instructions from only the finest horse-masters of Europe. Louis XIV of France was considered one of the best at this new sport. It was this sort of Jousting that was first introduced to America. It is not known exactly when or exactly where jousting originated in America but Maryland is generally considered responsible for increasing its popularity. William Gilmore of Baltimore Maryland hosted one of the first and one of the biggest Jousting tournaments in America. Gilmore went abroad and witnessed the Eglinton tournament in Scotland on august 29 1839. When he returned home in 1840 he put on one of the most fantastic quintain tournaments ever held in America. In 1962 , ring jousting became the official sport of Maryland, making Maryland the first American state to have an official sport. Today, the International Jousting Association, is responsible for the existence of modern jousting, also known as tilting. 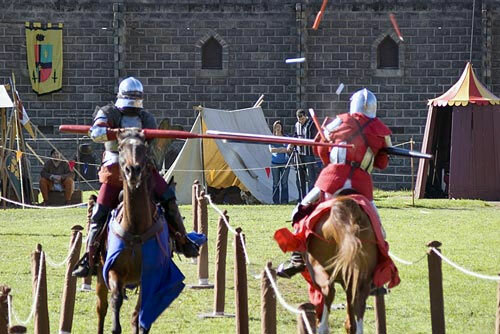 Modern Jousting has new rules regarding the safety of armor and has introduced breakable lance tips as well. IJA jousting gives points to the knight who is able to break his lance tip on the other knight’s shield. Unhorsing the opponent however, is not rewarded. Jousting, in a more theatrical form is a popular event at Renaissance fairs and similar American events. .
Jousting is also a modern sport in Italy. The town of Foligno has an annual jousting tournament known as the Giostra della Quintana. This tournament dates al the way back to 1613 but is still being practiced today. The town of Arezzo also has an annual tournament that dates back to the Crusades. 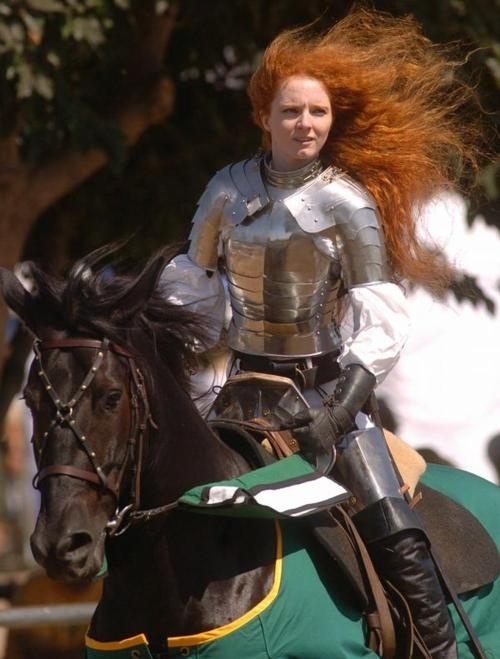 Could women be knights in medieval times? Yes, they could. 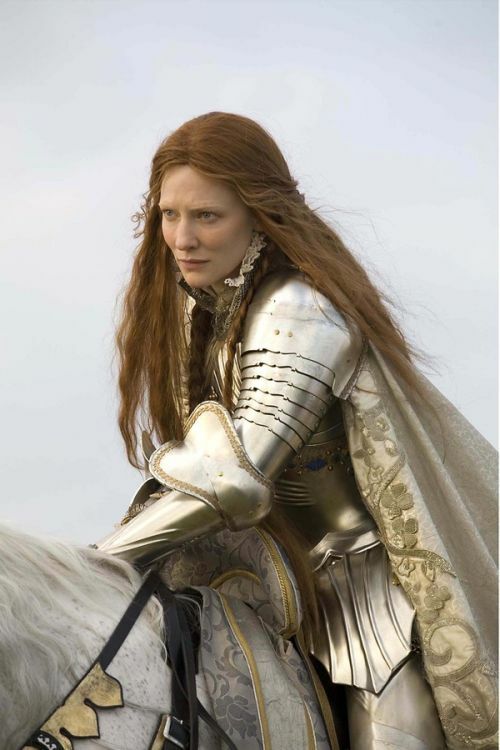 There were very few women who were knights in the Middle Ages, but there were indeed some. 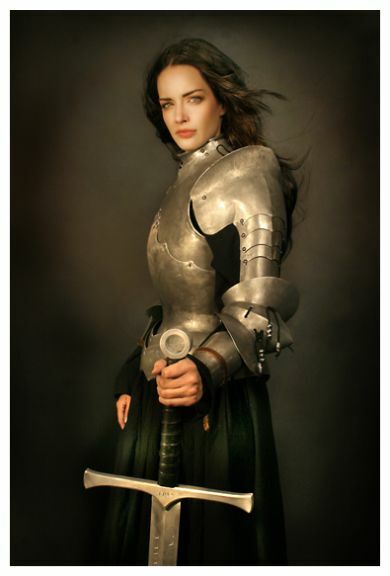 In Catalonia in 1149 there existed a military order of knighthood for women called “The Order of the Hatchet” that honored the women who had been defending their town. The rank was bestowed to women who fought in the defense of a town called Tortosa. That particular order probably died out with the original members. The women were given many privileges, including being exempt from taxes and taking precedence over men at public meetings. In addition, Pope Urban IV gave his blessing to the founding of an order that included female knights, called the Order of the Blessed Virgin Mary, in 1261. The charter for the order explicitly allowed women, and it explicitly called them knights. Most women who were of knightly status on their own merit were given the title Dame. Those who were members of the medieval Order of the Garter, however, were given the title Lady. Women were appointed to the Order of the Garter almost from its beginnings, but the practice ended when the Renaissance began and was not started again for a long time. It is said that there were a number of other orders open to women, but it is difficult to find sources of information. In England, 68 women were appointed to the Garter between 1358 and 1488. They wore the garter on their left arm. Many of those women were of royal blood or wives of Knights of the Garter. In theory, there was no reason why a woman could not go into combat. We have other well known examples, including Eleanor of Aquitaine and Joan of Arc. Also, in theory, there was no reason why a king could not knight a woman for any reason he might choose. It would not be surprising if this had not happened from time to time. 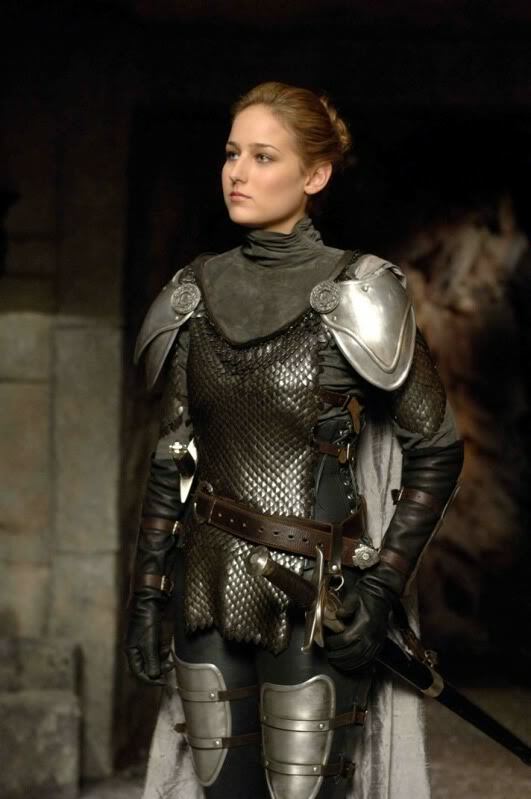 So, despite false hearsay that there were no women knights, in truth several military orders had women knights including “The Order of the Hatchet” in 1149.
read related article at http://www.heraldica.org/topics/orders/wom-kn.htm. Squires were usually invested as knights during one of the great feasts or holidays, like Christmas or Easter. Sometimes the ceremony took place on another special occasion, such as the wedding of a noble or royal. The king, nobles, knights and clergy or the squire’s father (if he were a knight) could confer knighthood. He would always defend a lady. He would speak only the truth. He would be loyal to his lord. He would be devoted to the church. He would be charitable and defend the poor and helpless. When on a quest, he would remove his armor and arms only while sleeping. He would never avoid dangerous paths out of fear. He would be on time for any engagement of arms, like a battle or tournament. Upon returning to his home or lord’s court from an adventure, he would always tell of his escapades. If taken prisoner, he would give up his arms and horse to his opponent and not fight the opponent again without the opponent’s consent. He would fight only one-on-one against an opponent. Then the master of the ceremony would dub the new knight on the shoulders with a sword. The knight would then dress in armor, receive his sword, mount his horse and participate in some martial games to demonstrate his skills as part of the celebration. In times of war, a squire who had demonstrated exceptional bravery in battle could be knighted on the battlefield by another knight. With knighthood came several privileges. Knights obtained the title “sir.” They could own land, hire soldiers to defend it and dispense justice over the soldiers and those living on the land. They — and their horses — could wear armor in battle (armor was expensive, so only knights could afford it). During feasts, banquets and dinners, knights had places at the high table, where lords and royals ate. They could also bear arms inside a church because they were defenders of God and the church. Chivalry was a code of conduct to which all knights adhered. 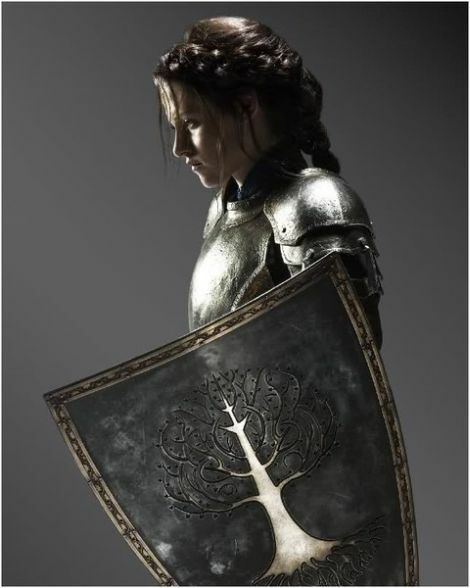 A knight swore to defend the weak and to uphold virtues like compassion, loyalty, generosity and truthfulness. The code of chivalry prevented well-armed and well-trained knights from wreaking havoc on the general population. What steps does a boy follow to become a knight? In the Medieval Times, there was a type of fighting men, knights. They had strong armour, and had to be able to fight and protect others. Knights were usually sons of nobleman, as the equipment and horse were expensive. They had to serve under the king, in return for land. To start as a knight, sons of nobleman became pages between the ages of six to eight. The fathers send their sons to a neighbouring castle to be trained by another lord. That lord then teaches the boy how to ride a horse, hunt, hawk, and to be quick, graceful and flexible. The page would also have sword practice, lance practice, and wrestling to strengthen their body. The lady of the castle would teach the page manners, how o behave in the kings court, to sing and to dance. Though it is not common, some pages learnt to read, to write, Latin, French and many civilised topics. Pages would also receive religious training from the chaplain. The lord would teach the page how to look after equipment, such as rolling armour in sand to get rid of the rust. Sometimes they would also receive training-in-arms from squires. Between the ages of 14 to 16, pages become squires. They have many more duties. Some include dressing the knight, serving the knights meals, caring for the knights’ horse and cleaning their weapons and armour. Squires also have to bring replacement weapons for the knight in battle. They also get to train with real weapons against real knights. They are also taught not to kill knights, but to ransom them. Squires are allowed to carry a sword and shield. At the age of 20, it was possible for squires to become knights. But they had to learn how to handle a sword and lance while wearing, approximately, 40 pounds of armour and riding a horse at the same time. As squires were usually 20 years of age before becoming a knight, their lord has to agree with the dubbing ceremony. They had to wear a white tunic and red robes at the ceremony. Then they had to fast and pray all night, the chaplain would bless the future knight’s sword. For the future knight, he had to bathe to show that he was pure and the priest would hear his confession. Before the actual ceremony, they had to eat a little breakfast; then the dubbing ceremony would begin. The lord would tap the squire lightly on the shoulders, while saying, “I dub thee Sir Knight.” There would be a great feast after the ceremony finished. But earlier in the Middle Ages, the person dubbing would hit the squire forcefully, knocking him over. A knight was expected to have not only the strength and skills to face combat in the violent Middle Ages but was also expected to temper this aggressive side of a knight with a chivalrous side to his nature. There was not an authentic Knights Code of Chivalry as such – it was a moral system which went beyond rules of combat and introduced the concept of Chivalrous conduct – qualities idealized by knighthood, such as bravery, courtesy, honor, and gallantry toward women. The Knights Code of Chivalry was part of the culture of the Middle Ages and was understood by all. A Code of Chivalry was documented in ‘The Song of Roland’ in the Middle Ages Knights period of William the Conqueror who ruled England from 1066. The ‘Song of Roland’ describes the 8th century Knights of the Dark Ages and the battles fought by the Emperor Charlemagne. The code has since been described as Charlemagne’s Code of Chivalry. The Song of Roland was the most famous ‘chanson de geste’ and was composed between 1098-1100, describing the betrayal of Count Roland at the hand of Ganelon, and his resulting death in the Pyranee Mountains at the hands of the Saracens. Roland was a loyal defender of his liege Lord Charlemagne and his code of conduct a description of the meaning of chivalry. Of the seventeen entries in the Knights Codes of Chivalry, according to the Song of Roland, at least 12 relate to acts of chivalry as opposed to combat. The ideals described in the Code of Chivalry were emphasised by the oaths and vows that were sworn in the Knighthood ceremonies of the Middle Ages and Medieval era. These sacred oaths of combat were combined with the ideals of chivalry and with strict rules of etiquette and conduct. The ideals of a Knights Code of Chivalry was publicised in the poems, ballads, writings and literary works of Knights authors. The wandering minstrels of the Middle Ages sang these ballads and were expected to memorize the words of long poems describing the valour and the code of chivalry followed by the Medieval knights. The Dark Age myths of Arthurian Legends featuring King Arthur, Camelot and the Knights of the Round Table further strengthen the idea of a Knights Code of Chivalry. The Arthurian legend revolves around the Code of Chivalry which was adhered to by the Knights of the Round Table – Honour, Honesty, Valour and Loyalty. *****The knight is first and foremost a servant-and specifically a servant of the Crown. The very word knight means servant. ***** The knight is on the side of good, that is, light, life, and love of his fellow man. The knight loves truth, as lies are a dis-service to the knight’s fellow man, a denial of the love and service the knight owes to all, representing reality as it is to the best of his ability. ***** Reverence is an act of love, showing love for one’s fellows by not deriding their most deeply held beliefs, and love for the gift of life, in appreciating the grandeur of that gift. Generosity in spirit, in being willing to grant politeness to all, respect to rank, and consideration for the opinions of others, is just as important as generosity of possesions, the largesse that shows strength of character in the open handed nature of the giver. It is to give more than is expected in all things. ***** It is the duty of a knight, and his priveledge, to grant equity in human relationships through the application of his own effort. Where right is made by might, one’s fellows are reduced to counters in a game of possesions. Where might protects right, giving the widow and orphan a voice to equal the strongest of us, then love has made us all the greater. Only the weak feel the need to control. The strong set us free. This is the greatest love. ***** To provide good service, one must obey. To subordinate one’s own desires to those of your lord is to be servicable and reverent towards one’s oath. To sacrifice one’s own interests for those of your lady, your lord or your group is love. ***** To be foremost in battle means that you hold your own life as little, but your love as all. Thus, the spirit triumphs over transient flesh and though the body die, the spirit is eternal. ***** Politeness, Respect, and Reverence show care for the perceptions of other people, one’s superiors, and the ultimate love that is what we champion. champion of the right and the good. *****Anyone has some power to choose either light, goodness and love, or darkness, fear and the wrong. We choose to be champions, might standing up to hold for the positive, life-affirming stature of existence. *****We freely set ourselves upon this course, binding ourselves to the light as strongly as we are capable of. King: Right mindful of your prowess on the field, and responsive to the wishes of your peers, we are minded to make you knight. *****You must be physically capable if you are to enforce right with your might. Those who are worthy are seen as such by those around them. The King believes in your suitability. Know that to wear the belt and chain of a knight is to hold a sacred trust; that the obligations of knighthood will demand your efforts every moment of your life. *****Your knighthood is a set of duties, ones that you are bound to in all your life. The belt and chain are prowess and fealty, service-ability and service. They are sacred trusts because they serve life, light and love. A knight of the Society must be respectful of all religions, never offending the faith of another. *****Offending the faith of another is to deny the good in it’s expression by another. A knight must respect all those who are weak or defenseless, whether because of age, infirmity, poverty, or vow, and be steadfast in defending them. *****Serving one’s fellows is an expression of the great love. Might defending the right means to grant life to others. Right subordinate to might is simply to live for common gain. This is to treat others as things, not persons, and that denies life to them. The reasons for another’s helplessness do not affect the nature of this decision. A knight must love his Kingdom and his province, and fulfill most faithfully his feudal duties to his baron and his King. *****To keep one’s promises is to preserve truth. To fulfill duties to baron and King is to perform service to your group and this is one form of love’s expression. His word must be dependable beyond doubt or question. He must never flee from the face of his foes. He must be generous to all. And, always and everywhere, he must be the champion of the right and the good. *****To deny truth is to misrepresent reality to one’s fellows. This can only harm. To flee from foes demonstrates fear, which arises from thoughts of personal gain. The love for one’s fellow fighters, one’s group, and one’s lord, demand self sacrifice. Generosity is another form of demonstrating love through self-sacrifice. And to champion the right and the good is to show love in it’s purest form. The Laws of the Society and the customs of the Kingdom require that a knight be prow, as you have demonstrated you are upon the field; that a knight be courteous, as you have shown yourself to be and as these noble gentleman (and ladies) attest; and that a knight be loyal to his Kingdom and the Society. *****To champion others you must have the ability to affect outcomes. In the position of a knight, this means training for combat, training to create ease for others in social situations, and training of the spirit to maintain loyalty to lady, lord, people and the ideals of the light. King: Wear this belt in token of your prowess. *****The belt is to remind you that training of mind, body, and spirit are neccesary to provide service to love and the light. King: Wear this chain in token of your fealty. *****The chain is there to remind you that you have bound yourself in this course, that you have a commitment. King: Wear these spurs in outward token of your new station. *****To teach and inspire others by your example, you are given an outward symbol so that others may know what it means to be this kind of servant, and desire to emulate your own behaviour. This is a weighty responsibility, as it multiplies each of your actions in the actions others model on you. King: Bear your sword with strength, so disposing your heart to goodness that you never use (it/this sword or any other) to injure anyone unjustly, but always use it to defend the just and right. *****Your might is there to serve others, to protect, not to harm. There are those who are not serving the light, and your efforts should always be bent to preserve those not able to protect themselves from them, not to gain ascendancy and glorify yourself. King: Bear these blows and no others. Rise, Sir N.
King: Bear these blows and no others. In remembrance of oaths given and received. (Strikes right shoulder) In remembrance of your lineage and obligations. (Strikes left shoulder) Be thou a good knight. (Strikes head) Rise, Sir N.
*****With the three blows of the sword, the knight is reminded of the essence of the Chivalric philosophy. To remember oaths given and received is to acknowledge your commitment to all people and to the ideals of chivalry. To remember your lineage and obligations is to keep the service you owe your lord and brother knights, a model of the light, love and life you serve in your fellows and superiors. Finally, be thou a GOOD knight is to render in one word the ideal you have chosen to follow, and to provide that one word reminder at the ultimate moment of transference of station. It’s a reminder that you have chosen the path of love. Since life arose, there has been a quality to it called tropism. This is the tendency of life to seek light and warmth and to avoid darkness, cold and pain. This quality becomes more and more elaborated as life itself increases in complexity, but the first principles have not changed. Chivalry is the glorious expression of these life affirming principles in the spirit of man. Let your own toasts include the Oldest Toast of all. To life! The design displayed on the Winchester Round Table dates from 1552 and was made to impress the visiting Emperor Charles V.
adapted Wace’s account and added to it, describing a quarrel between Arthur’s lords which was settled by a Cornish carpenter who, on hearing of the problem, created a portable table which could seat 1600 men. Both Wace and Layamon refer to Breton story-tellers as their source for this and there is little reason to doubt them. This being the case, the origins of the table may well date back to Celtic times, and even be traceable to the age of Arthur himself. In the later medieval stories, however, it is Merlin who is responsible for the creation of the table. Malory, taking up the theme and developing it, made it the centre-piece of his epic re-telling. The large wooden table in the Great Hall at Winchester dates from no earlier than the thirteenth century, when it may have been made at the command of King Edward III, who was considering a revival of the Round Table as an order of chivalry. In the end, he dropped the idea and created the Order of Garter instead, but the table remains. Made of oak, it is 18 feet across and nearly 3 inches thick. It weighs nearly 1.25 tons. Was Arthur a true, historical figure or only a hero of legend? This is truly up to each and every one of us to decide for ourselves. Arthur represents a man who was the epitome of good against evil, light against darkness, and that eternal, never-ending struggle between what is right and that which is wrong. Was Lancelot the greatest Knight of them all? The answer is yes, according to Chretien de Troyes. He it was who invented Lancelot and added him to Arthur’s court as a Knight of the Round Table. In his four romances, Chretien portrays Lancelot as the best of all the knights: skilled in arms and chivalry and courtly love and all the other qualities that make a knight successful. He is the king’s champion, fighting challengers and going on quests in the king’s name. He is time and again the symbol of Arthur’s justice. Those who question the queen’s fidelity are made to pay by fighting Lancelot. (Ironic, isn’t it?) He is the most famous of the knights and the most accomplished. And yet, he is not the most perfect. That honor falls to his son, Galahad. It is interesting to note here that Lancelot is vilified by some for carrying on an adulterous affair with Guinevere while at the same time glorified by others for begetting Galahad, the perfect knight, from a tryst with Elaine, to whom he was not married. (Some stories say they did marry, but the begetting was before that.) And just as Lancelot had supplanted Gawain in being the best knight-at-arms, so does Galahad supplant Lancelot in being the best knight-in-spirit. As the legend writers turned to the Holy Grail, they incorporated the idea of purity of body and mind; Lancelot did not fill the bill. His son saw the Grail and realized the Grail Quest; the father was reduced to seeing an obscured vision and dying knowing that his own sin caused his inability to see the wondrous object. Lancelot was the best at arms but not in piety.